Ducati Team riders Andrea Iannone and Andrea Dovizioso qualified in sixth and tenth place respectively at the Assen TT circuit in the Netherlands and will start from rows 2 and 4 of the grid for Saturday’s eighth round of the 2015 MotoGP World Championship. 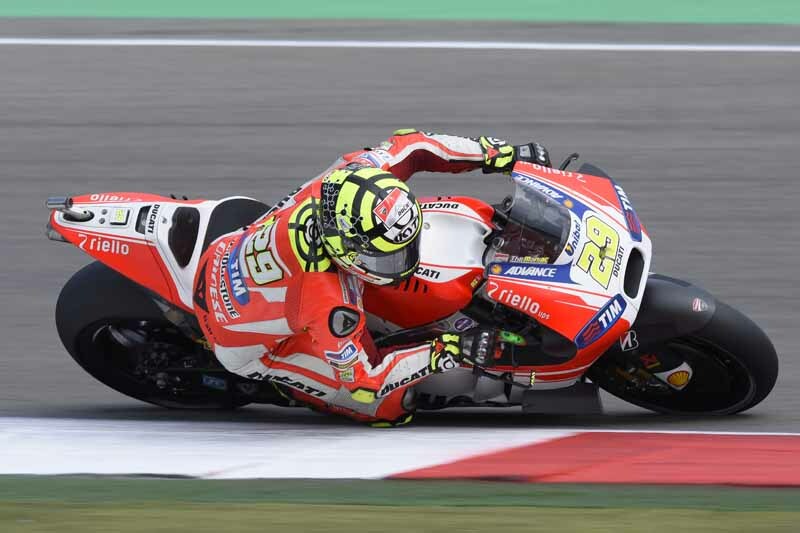 In the morning’s FP3, Iannone and Dovizioso were third and fourth quickest, and went directly into the decisive Q2 session, while in the afternoon they were ninth and seventh in FP4. In the qualifying session, valid for the first four rows of the grid, Iannone set sixth quickest time in 1’33.016 on his second run with soft tyres, just 0.389s away from Rossi’s pole mark. Despite being 0.485s off pole, Dovizioso’s time of 1’33.112, which he also set on soft tyres, was 0.485s away from the pole, but he could only record tenth place and as a result will start from row 4.